ICO regions: In which countries are ICOs executed? I analyzed the regions where Tokensales were executed or are currently scheduled. First things first: The data used here was extracted from ICObench. I extracted all the projects having a start date later than 01/01/2017 and classified them into their origin country. What is the region with most of the ICOs? Most of the ICOs of this period have been scheduled or executed in the USA. This might seem surprising since the regulations by the SEC in the USA are very strict concerning tokensales and ICOs. Many companies are fearing that their token being classified as a security could cause big troubles and therefore avoid this region for executing an ICO. 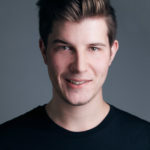 At the same time, residents of the USA are usually excluded in tokensales. So, why is it that the USA is that popular as a region for ICOs? Without proving it by numbers, I assume that most of these ICOs are older ones that happened in early 2017. After that, the regulation came in and the number probably decreased in a very large extend. 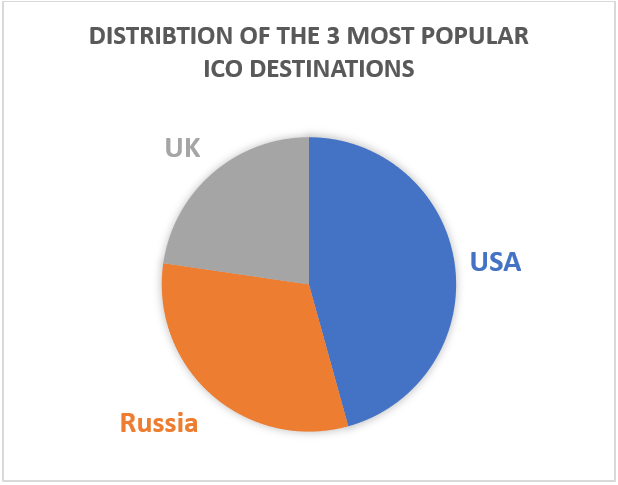 Apart from the USA, Russia and UK are part of the three most significant countries concerning the number of scheduled tokensales. Russia has been performing well on Blockchain projects a long time and UK has shown his significance as a financial hotspot. 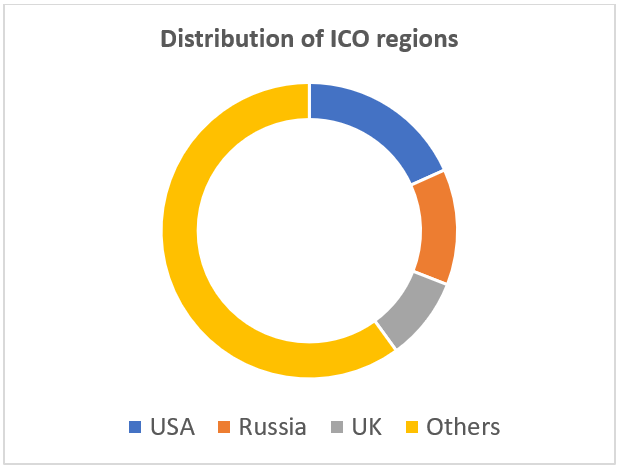 If you want to have a look at all different countries where ICOs have been scheduled, you can download my PDF Regions of ICOs for free with this link (no registration). This is not investment advice. The information presented here only serve for information purposes and should not be considered as any consultancy or advice. They are based on subjective opinions.